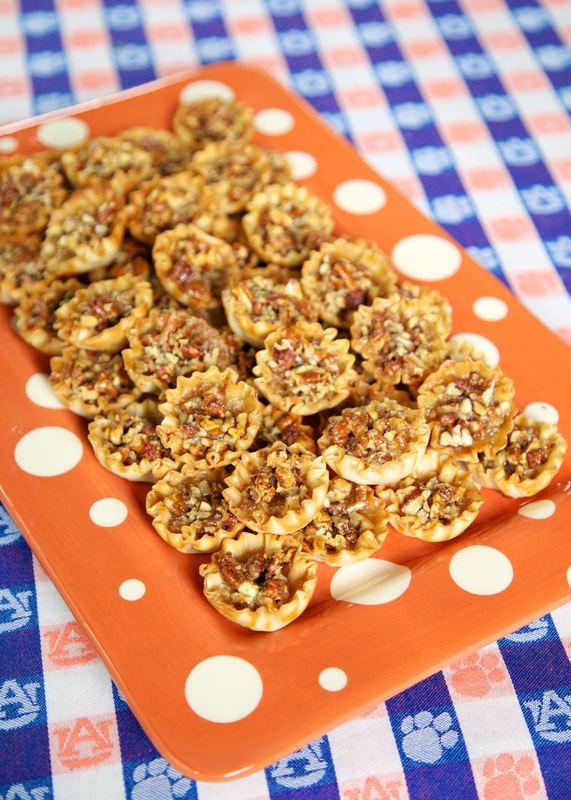 Pecan Pie Bites - pecan pie filling baked in a phyllo shell - great for parties, tailgating or Thanksgiving! 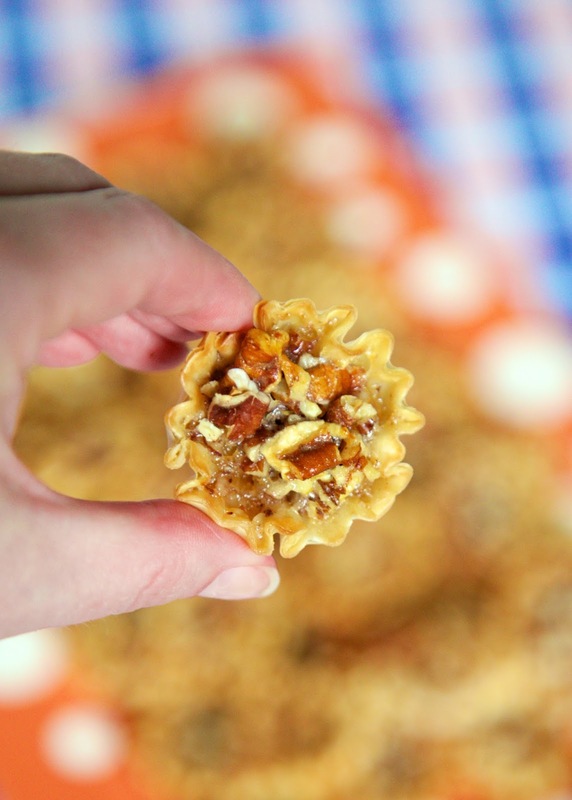 Everyone LOVES these bite-sized pecan pie bites! Can make ahead of time and store in an airtight container for several days. Such a great easy dessert recipe! Be warned, these Pecan Pie Bites are highly addictive! I've made these several times and they are always gone in a flash! These come together in a flash and are ready to eat in under 20 minutes. I actually like these Pecan Pie Bites better than regular pecan pie. I love the crispy phyllo crust. These can be made a day or two in advance. I honestly can't tell you how long they will last. I've never had a batch make it through the day! These are great for tailgating and would also be perfect for Thanksgiving and holiday parties. Whisk together egg, butter, syrup, sugar and vanilla. Stir in pecans. Spoon filling into tart shells. How easy is this?! I love that they are easy to make and even easier to eat. Great recipe! This is super easy to make compared to the other pecan pie bite recipe I've made in the past. Just made these, and these are to die for!! I don't think I will ever make a plain pecan pie again!! They are both really delicious!! Enjoy! wondering if these can be frozen after baked or refrigerated. Would love to make these and serve in about a week. I’ve never frozen these, but I think that would be fine.